The index opened positive and went on to make the highs of the day at 8683 within the first few minutes but profit booking from thereon saw the index close at 8592.20, loss of 58.10 points. The broader market was negative with 640 advances to 942 declines. Range at the start of the series comes to 8300-9000. 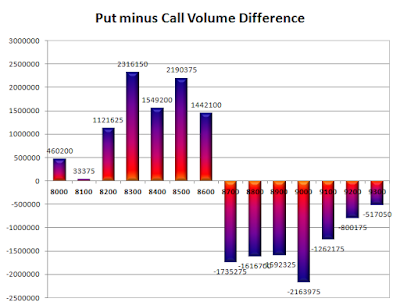 Call option 8000-9300 added 39.68 lacs OI. Put option 9000-8000 added 35.72 lacs OI with profit booking at 8500 strike price. 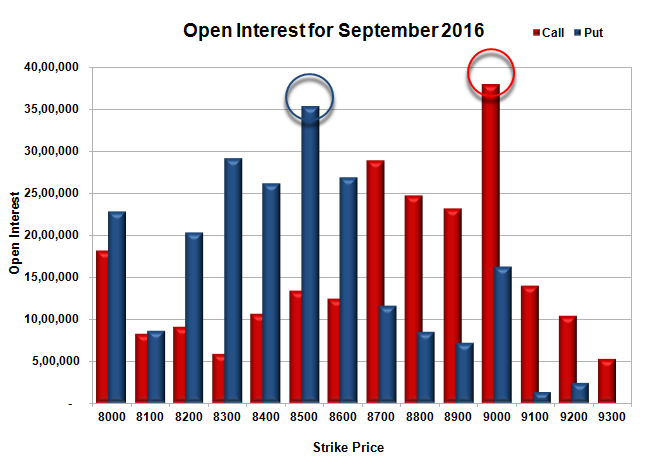 Nifty Open Interest is at 2,63,81,700 up by 50,56,800, with decrease in price, probably 100% roll-over with short build-up. 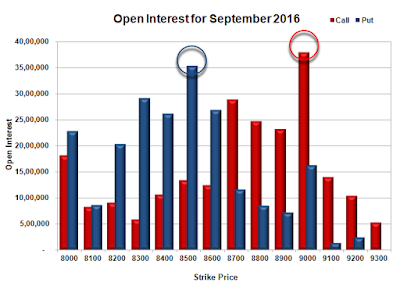 Bank Nifty Open Interest is at 19,90,200 up by 6,43,440, with decrease in price, mostly roll-over with some long liquidation. FII’s bought 14117 contracts of Index Futures, which includes net 22955 contracts long liquidation and 47948 contracts short covering, with decrease in net OI by 70903 contracts, includes 104749 longs to 90632 shorts for the day. FII’s Index future open contract as on date is 302836 Longs to 41061 Shorts, Net long 261775 contracts. Initial support at 8600, with OI of 26.86 lacs and below that at 8500 with OI of 35.30 lacs. 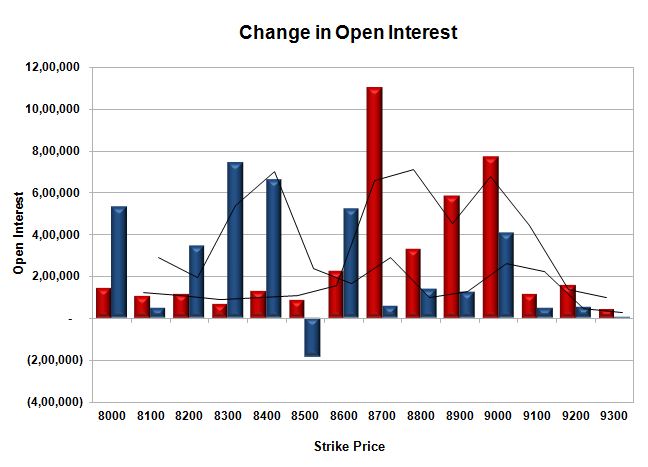 Initial resistance at 8700, with OI of 28.97 lacs and above that at 9000 with OI of 37.95 lacs. Day Range as per Option Table is 8559 - 8666 and as per VIX is 8532 - 8652 with 8620 as the Pivot.